DC and Marvel’s comic-book characters have starred in dozens of video games between them, but who else deserves a virtual outing of their own? The comic-book industry is home to countless awesome characters across multiple genres, including sci-fi, fantasy, and horror. Though they may not be quite as well-known as the likes of Batman, Wonder Woman, the X-Men, Superman, or the other big names, the following characters all deserve a new video game tie-in to bring their awesomeness to a wider audience. 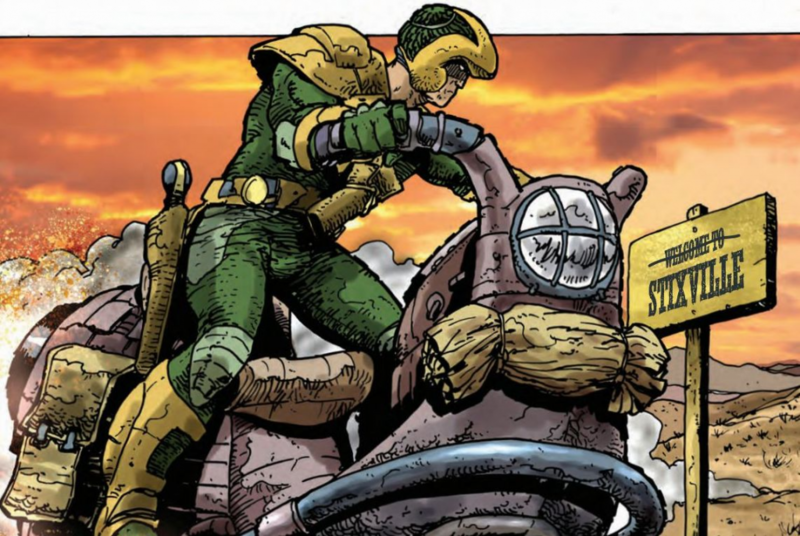 Johnny Alpha is one of 2000 AD’s most beloved characters. Gifted with psychic abilities, Johnny is one of the many oppressed mutants living in futuristic Britain following nuclear fallout. Like other ‘Strontium Dogs’ before him, he becomes a bounty hunter – and this is where his wild adventures start. Not only does Johnny Alpha have a terrific design that would be a joy to control on-screen, glowing eyes and all, he’s also a great character with oodles of potential. Way back in 1984, he appeared in a game for the ZX Spectrum, as well as another for the Commodore 64 – though these were obviously limited. An open-world game would suit Strontium Dog perfectly, with you able to pick and choose contracts, meet countless strange characters, and explore weird, alien environments. The high-tech equipment Johnny uses could also be pulled off by the latest hardware, with his teleporter especially exciting. It would need to retain the same social commentary, satire, and hard-edged tone as the comics, though – something entirely possible today. 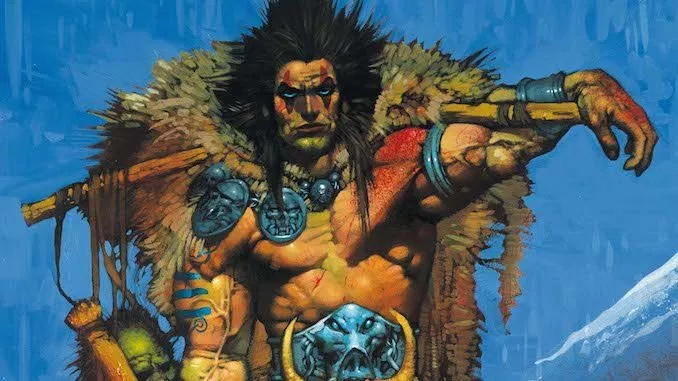 Another of 2000 AD’s long-running characters, Slaine is based on classic Celtic tales and mythology. Though the character has been through countless adventures and changes over the years, he’s still as fascinating as ever, and has massive potential for a blood-soaked game adaptation. Like Strontium Dog, Slaine was also made into a game decades ago, for the ZX Spectrum and other machines of the era. Armed with a brutal axe and the ‘warp spasm’ (which transforms him into a monstrous entity), Slaine is just waiting for a massive Skyrim-clone; of course, it’d need to be far more biting, humorous, and bloody. We’d also love to see Murderball included as a mini-game – a horrific sport few survive. Evil Ernie has been owned by a few different comic-book companies, and his more recent run with Dynamite Entertainment has been terrific. Ernie was cursed / gifted with the ability to see people as they really are, given an understanding of their darkest truths simply by looking at them. After a disastrous attempt to execute him for the murder of 665 people, Ernie becomes Evil Ernie – a demonic anti-hero out to punish those who deserve it, accompanied by Smiley, a living badge. His superior strength and magical skills would allow him to slot into a dark, creepy game beautifully; Evil Ernie might well benefit from an adaptation in the same vein as The Darkness. The mature tone and demonic aspect could give this a powerful edge, filled with horror and black humour. Okay, so the Rat Queens are more than a single character, but they count as one when together, right? 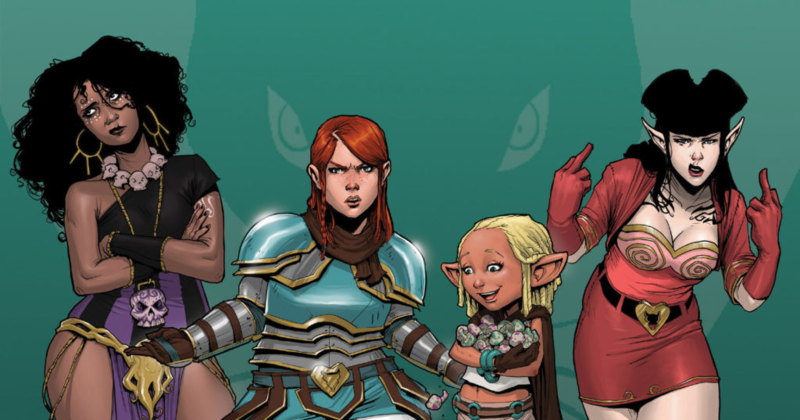 Image Comics’ Rat Queens is a fantasy yarn with a twist. Rather than focusing on standard barbarians on a straight-faced quest to destroy a dark lord, this is a hilarious, poppy take on the genre, starring a cast of lovably modern-minded ladies. This would be a terrific opportunity to do an open-world fantasy game not as we’ve all seen it before, but with a more irreverent style. The Rat Queens themselves are a diverse, smart-mouthed, wild bunch, and the potential’s there for a big, gory, character-driven adventure that would really feel unique. Constantine has appeared in his own video game before … but this tied into the 2005 movie adaptation. If you’re a fan of the comic-books, you’ll know Keanu Reeves wasn’t exactly the perfect choice for a blonde-haired Englishman with a mischievous streak. 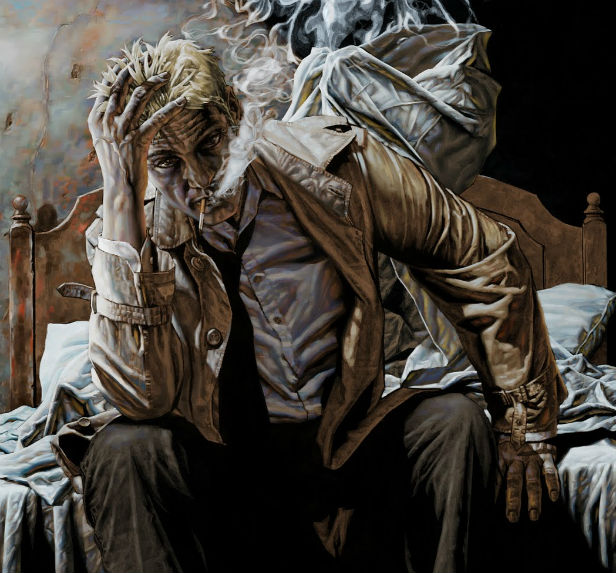 John Constantine is a tough-talking occult detective with a dark sense of humour and powerful sorcery skills. He’s encountered plenty of demonic forces in his time, as well as the likes of Batman and Swamp Thing. A new Constantine game could take one of multiple forms. A graphic adventure in the style of Telltale Games’ best titles would work brilliantly, allowing for a slow-burning narrative and different paths. While a third- or first-person action-adventure game might also work, it runs the risk of becoming a string of spell-slinging encounters – which wouldn’t be true to the character. While everyone knows the Mask from the 1994 Jim Carrey movie, the character actually started life in the pages of Dark Horse Comics’ Dark Horse Presents. The movie was a light-hearted, family-friendly flick with shades of darkness, while the comic-books were far more sinister and gritty (though the film was still a solid adaptation, borrowing its fair share of moments from the comic itself). 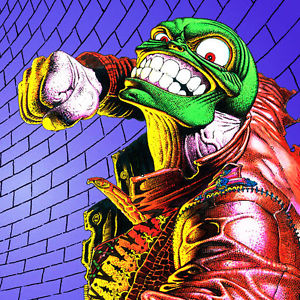 The Mask has appeared in a game before – the SNES tie-in for the movie – which did a decent job of recreating the character’s powers and sense of humour. Still, a new game could take inspiration from the early comic-books, following the magical mask as it jumps from one host to another. You could perhaps play as different characters who bring their own personal abilities and traits to the Mask’s powers. The Mask originally granted the ability to heal, to look exactly like other people, to make objects appear from out of nowhere, and enhanced strength. The technology is there now to let you do all this and more – maybe like Prototype, only way better. Hellboy has appeared in multiple game adaptations, but none of them have done the character justice. As a strong, courageous, funny demon with a giant stone hand, Hellboy’s the ideal lead for a horror-themed video game. His role within the BPRD (Bureau for Paranormal Research and Defense) also creates a great structure, allowing for mission-based play across all kinds of strange environments. 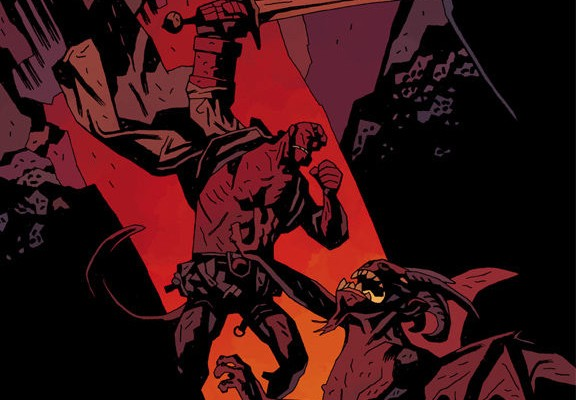 However, the game would need to avoid being a basic brawler, instead focusing as much on the character and his world as action; fighting would play a massive role, of course, but if it were just a standard adventure game with the Hellboy name slapped on it, what would be the point? Like Hellboy, Spawn revolves around demonic forces and hellish characters. Introduced to the world by Todd McFarlane in 1992, Spawn went on to become one of the biggest, most important figures in the industry. He appeared in a disappointing movie, a successful Emmy-winning animated series, and multiple video games, with perhaps Spawn: Armageddon the best. With a huge range of demonic powers (strength, speed, teleportation etc. 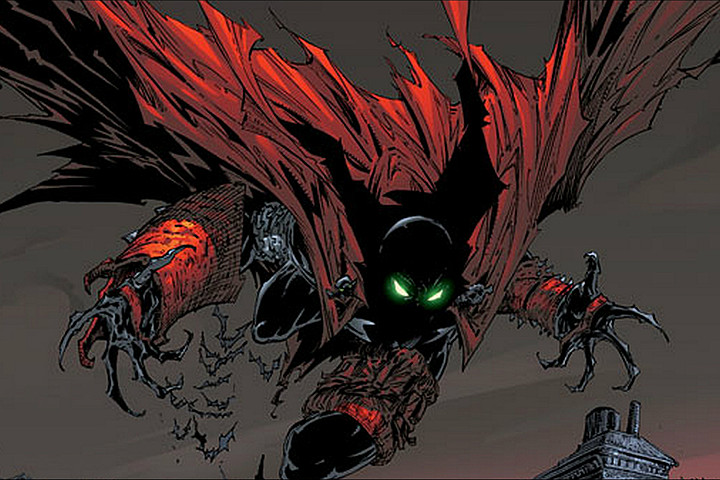 ), Spawn makes for a solid gaming protagonist. Ideally, the game would be an open-world adventure with strong horror and stories taken direct from the comic-books. The latest gaming hardware could also give Spawn’s symbiotic suit the fluidity and power it deserves, too, so we can really feel as if we’re becoming the character (in much the same way we do when playing as Batman in the Arkham games). Red Sonja, the ‘She-Devil with a Sword’, exists in the same world as Conan the Barbarian (or vice versa, if you like). She’s a striking, red-headed beauty whose origins have changed over the years. 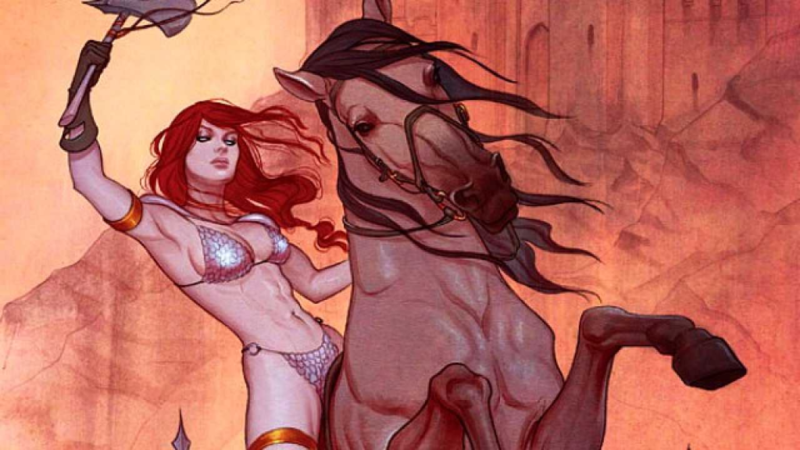 Red Sonja could be a great open-world fantasy game set in the world of Robert E. Howard’s fiction, with all the locations, enemies, and magic fans love. There’s scope for this to have a unique look and atmosphere, with plenty of bloody sword-fights and quests. While the gameplay might be something we’ve seen before, it would be a major outing for both Red Sonja and her dedicated fans. 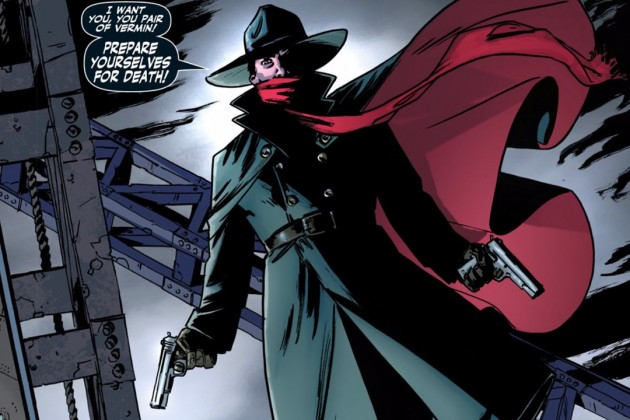 The Shadow is a pulp hero dating way back to the 1930s. He’s appeared in radio plays, magazines, a major movie in the 90s, and various comic-books (most recently published by Dynamite Entertainment). He’s a dark, violent crime-fighter who influenced others, including the mighty Batman, with a cool look and style all his own. It’d be awesome to see the character in his own video game, set in the 1930s, with period architecture, vehicles, and costumes. The soundtrack could also be of the era too, to really hammer the pulpy feel home. What comic-book characters do you want to see star in new video games? Let us know!